I was pretty pissed when Google canceled their much-loved Authorship. For one thing, they did it less than a week before an advanced content marketing seminar I was leading, which killed about 25% of the entire presentation, which sent me scrambling for another solid 15 minutes. I mean, I had a great graphic with Chuck Norris, bacon, and a cartoon of a bear riding a shark, and They. Killed. It. Second, this was the one thing that was going to make honest writers out of all the meh-diocre hacks and spammers. Rather than allowing anonymous drones to fill up the Internet with less-than-acceptable articles, the good writers were going to be rewarded with high search engine ranking. And now they killed it. Killed it dead. 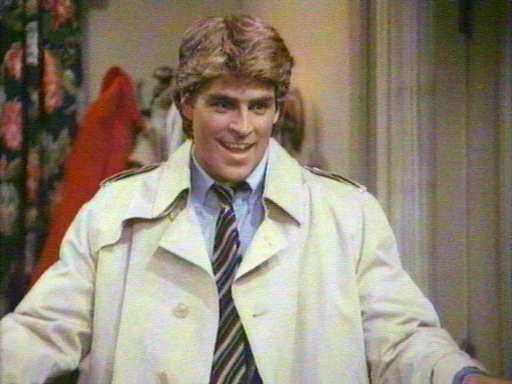 Deader than any show Ted McGinley joins. But as I’ve had time to grieve and process my feelings, I’ve realized that Google Authorship’s demise does not mean the end of quality writing or content marketing. Yes, it will mean we all have to work harder, but it’s not impossible. Google Authorship played a very important role in SEO: it drove people to Google+. If you wanted to take advantage of Authorship, you had to link to the network, and use it properly. But not enough people embraced Authorship (or Google+), and so they shut it down. That doesn’t mean we’re going back to the SEO old days, where keyword stuffing was all the rage. Google is is putting extra nails in that coffin with their Panda 4.1 release. If anything, they’re still beating the “write better” drum, and giving favor to small and medium businesses that make content creation one of their top priorities. So if you want to catch Google’s attention, do it right the first time. Oh, the stories this guy could tell. If only he’d keep up his blog. Authorship did one thing: it put a writer’s picture on the Google search results, and included the author’s name. That’s it. Yes, that was helpful because it added a semblance of trustworthiness and credibility to the article, but just because your face appeared next to a result didn’t mean it was any good. It also told Google who the good authors were, in the hopes that they would give preference to those writers who did it right and followed all the rules. But they still have ways of knowing. They’re just not going to show that favoritism via photos and names. Google has also killed the benefit of guest blogging, especially for backlinking purposes, which has all but eliminated the dearth of guest posts appearing everywhere on the Internet. So it’s actually become a viable personal branding strategy again, even though it’s finished as an SEO strategy. This is where being a good and connected writer, or hiring them, comes in handy. According to CNBC’s article, “Want to lift your Google ranking? Hire writers,” writing guest posts in places with high visibility adds to your reputation and credibility as an expert in your industry. Writing is a central part of Jamie Walker’s job. Her San Francisco-based start-up SweatGuru, which develops Web-based software for fitness instructors and personal trainers, counts on Google for over half its traffic and has virtually no marketing budget. Instead, Walker is frequently penning blog posts for the Huffington Post and the site SheKnows.com, offering advice to yoga teachers and techniques for running. It’s about establishing herself as an expert, without pushing SweatGuru’s products. I’ve said many, many times before, I think “write good content” is a galactically stupid strategy (it’s a way of life, not a checkbox you tick off or a thing you decide to do, as if it’s optional). But, that doesn’t mean you shouldn’t do it. If you’re writing for highly-visible sources like Huffington Post, that’s not a place to drop your Buzzfeed-quality articles. It needs to be some of your best work, because that’s the first thing people are going to see. That’s what will win converts to you and your brand, not pumping out a lot of low-quality work just to meet an artificial-yet-ineffective deadline. You need to write well, because Google will reward it. People will read your work, share it, and spend more time on your site, which are all factors in Google’s search algorithm (along with 200 other signals). Don’t settle for good enough, because people will ignore it in favor of stuff that’s better. If you can’t write well, learn it. If you can’t learn it, outsource it. This is not a place to cheap out or screw around. If your business depends on the quality of your content, make sure it’s the best damn content you can put out there. While you’re creating that top-notch content, don’t forget these four other tactics. Write guest posts on influencers’ blogs and outlets. The more visible the outlet, the better, just don’t do it for the backlinks. If anything, stick a single link to your main page or Twitter page in your bio. Google won’t even count it, but stick a rel=”nofollow” tag in there so they know you’re not trying to be tricky. But don’t put your best eggs into that basket. Save your best content for your own blog. Join an allied industry group on LinkedIn where you can serve and provide value. Do this in addition to joining your industry’s groups. Write information for the allied group, not your industry group. Don’t worry about trying to impress your colleagues, focus on impressing your potential customers. Your industry colleagues won’t hire you, allied group members will. Curate insider information. Curation should only take up 20% (1 day out of 5) of your total content marketing. It should not be your entire strategy. This means you need to find the best and hardest to find information, not the Mashable article that everyone’s already read. Share that information with your allied groups so they can do their jobs better. Embrace social sharing. It may be old hat, but there ain’t no hats like old hats. The best way to get people to see your content is to share it on social media. They’re not going to stumble upon it by accident. There won’t be a grand awareness of your latest article. And the social media fairies won’t sprinkle it with their magic dust into your networks. You have to tell people, several times in fact. Post it two or three times over two days. Remember, not everyone is on Twitter at the same time. Once in the morning, once in the afternoon, and possibly once in the evening or the next day at lunch time. Google still pays attention to social sharing signals, so the more your content is shared, the better. Authorship may be gone, but if you’re an effective content marketer, that shouldn’t matter. If you’ve already been doing it right, you’re still able to keep doing what you’ve been doing. It’s like taking a nail gun away from a carpenter. As long as he’s still got his hammer, he can keep working. If you’ve still got your blog or website, you can keep working too.